Home Editors' Pick Has Zambia’s failure to secure IMF aid deal rattled investors? Has Zambia’s failure to secure IMF aid deal rattled investors? 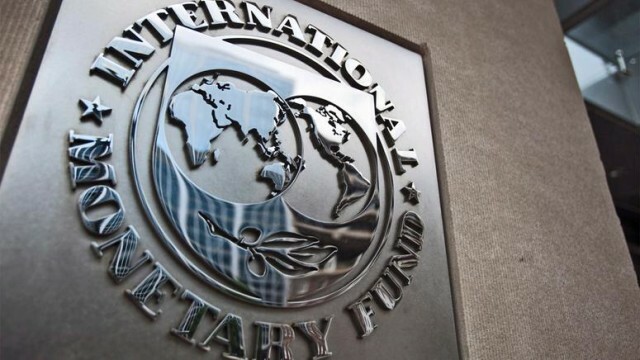 Delays by the Zambian government to secure an aid package from the International Monetary Fund (IMF) has sent shivers among international investors who have now developed a “wait and see” attitude, resulting in the yields for the country’s Eurobonds rising, analysts have said. Zambia’s yields on its Eurobonds have risen to about 10 percent, making the country’ debt second to Mozambique globally. Until recently, Zambia’s yields, among the highest of any sovereign in the Eurobond market, were helping attract investors. Analysts are now skeptical as to whether Zambia will agree on a bailout package with the IMF that has expressed concern on the country’s debt situation, which it has described as being at risk of debt distress. There have also been speculations about the country’s true debt situation, with the government insisting that its debt currently stands at 9.1 billion U.S. dollars, according to revised figures, while other sources have put the debt much higher what is portrayed by the government. “This is not sitting well with investors because Mozambique is now known to have defaulted on its debt and they (investors) fear Zambia may be next. The consequence is that non-resident investors seem to be withdrawing or cashing out,” economist Chibamba Kanyama said. The economist stated that the failure by the government to issue a comprehensive statement on the current engagement with the IMF was forcing investors to trade on secondary information they were getting from other sources. “There is a definite cure to this so that we avoid a free fall on yields because any further rise makes it impossible to service the Eurobond. Government can enhance its communication, engage the market and inform everyone about current economic stabilization program,” he added. According to him, all is not lost for Zambia as the country has systems strong enough to inspire confidence but added that this should be done as a matter of urgency. All the investors want is proactive engagement about market developments, he said, adding that the government should prove to investors that it was concerned about negative market perceptions and was taking action to stabilize the situation. His views have been supported by the Africa Confidential, a renowned specialist publication on Africa. In its latest analysis of Zambia dated June 1, the publication notes that the current situation was a reflection that the Zambia government has failed to yield confidence before the IMF following the continued borrowing for infrastructure projects. According to the publication, last year, investors still believed there was a chance of an IMF financial bailout but that the continued borrowing may have scotched any chances of a program. “Experts say an IMF program and a loan to support balance of payment are essential. But the IMF wants Zambia to show that it will stop borrowing and get debt on a stable path,” it said. According to the publication, while Zambia’s debt has continued to rise, its international reserves have fallen to just 1.8 billion dollars, resulting in the local currency begging to totter as the central bank has stopped defending the currency’s value. But the government has insisted that there is no need to hide any information, adding that it has been transparent in both in its dealing with the IMF and on the debt situation. Its finance ministry said in a statement that it was ready to engage and provide fiscal and debt information with all stakeholders as it has nothing to hide. The government, it said, has not backtracked on its engagement with the IMF and was committed to finalizing the deal, adding that a full debt sustainability analysis was conducted and the results will be shared with the IMF.